The beautiful Ingrid Pitt (The Wicker Man, Where Eagles Dare) stars as Elisabeth Nadasdy, an aging Hungarian Countess who discovers she can reverse her aging by bathing in the blood of young women. While in her youthful state, the Countess falls for the handsome Lt. Imre Toth (Sandor Eles), and impersonates her own daughter to win his affections. Soon, girls in the village go missing... kidnapped and murdered by the Countess and her steward, Julie (Patience Collier) to satiate her horrifying bloodlust. Can Elisabeth live a life of deception with her grotesque lust for blood to stay eternally young, or will her ghoulish secret finally be revealed? Co-starring Nigel Green (Jason and the Argonauts, Zulu). 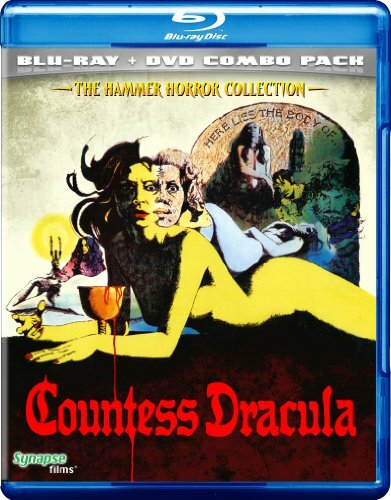 Considered "one of the more underrated films from the latter days of the Hammer Films dynasty" (Don Guarisco, Allmovie.com), Countess Dracula is based on the real-life Hungarian Countess Elizabeth Bathory, a woman accused of torturing and murdering more than 600 girls.